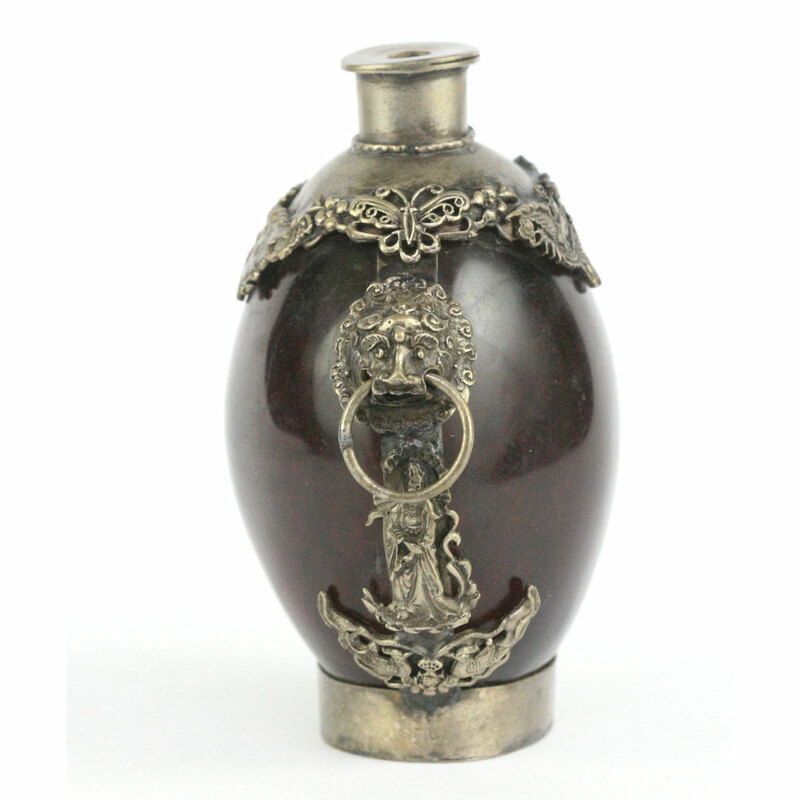 ﻿ East Asia & South-east Asia : A Qing to Republic resin and silver table snuff bottle. 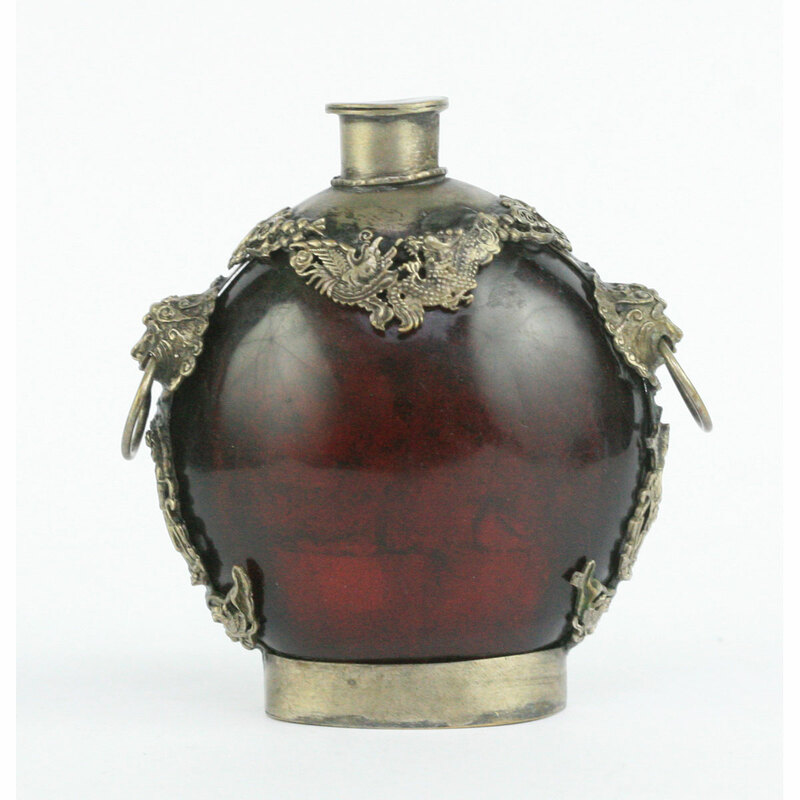 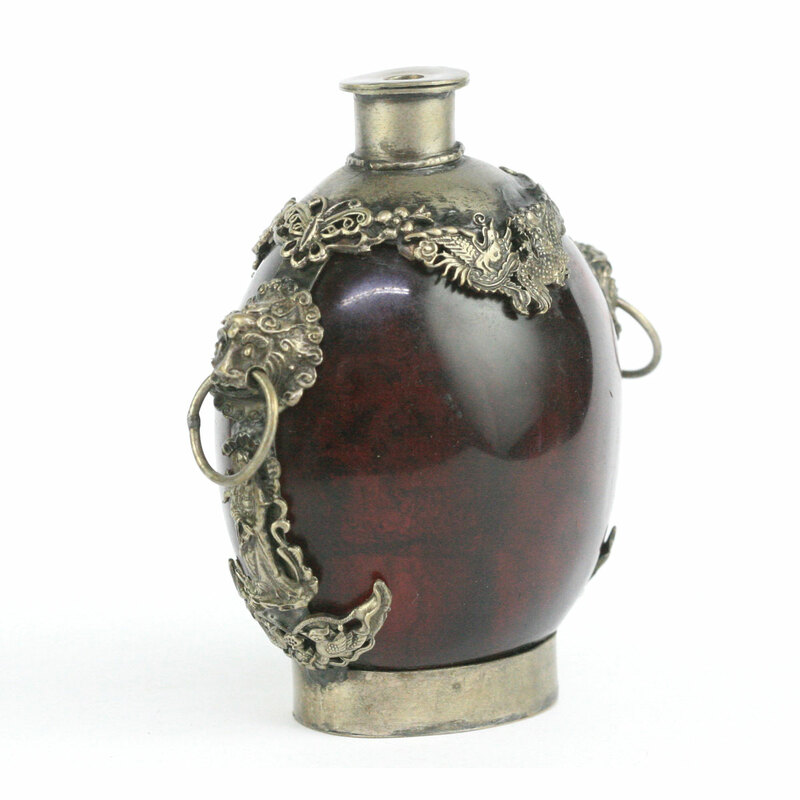 A Qing to Republic table snuff bottle. 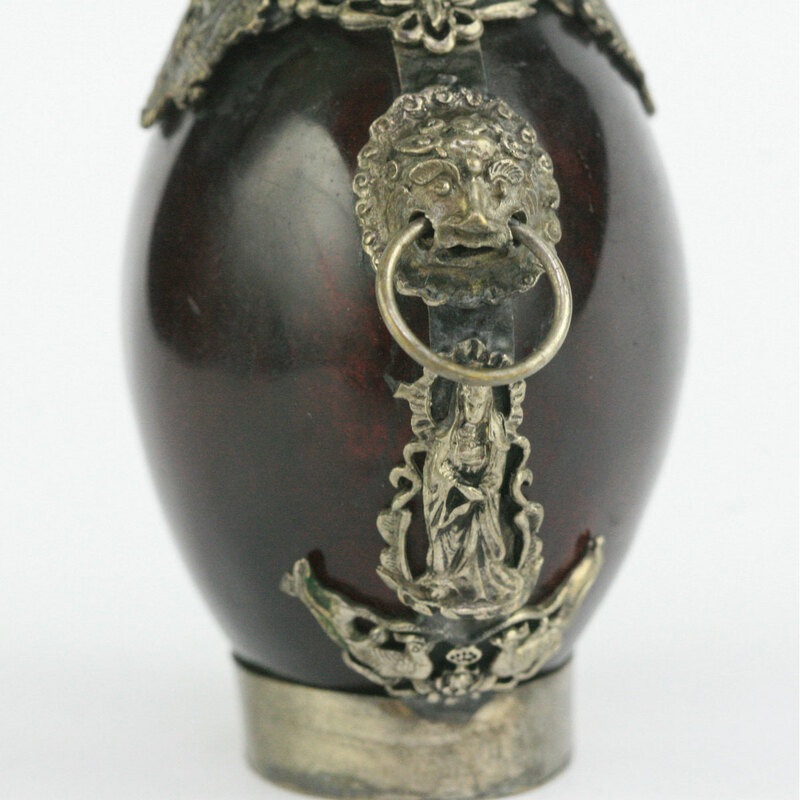 The globular resin body with silver foot with stamp on the base. 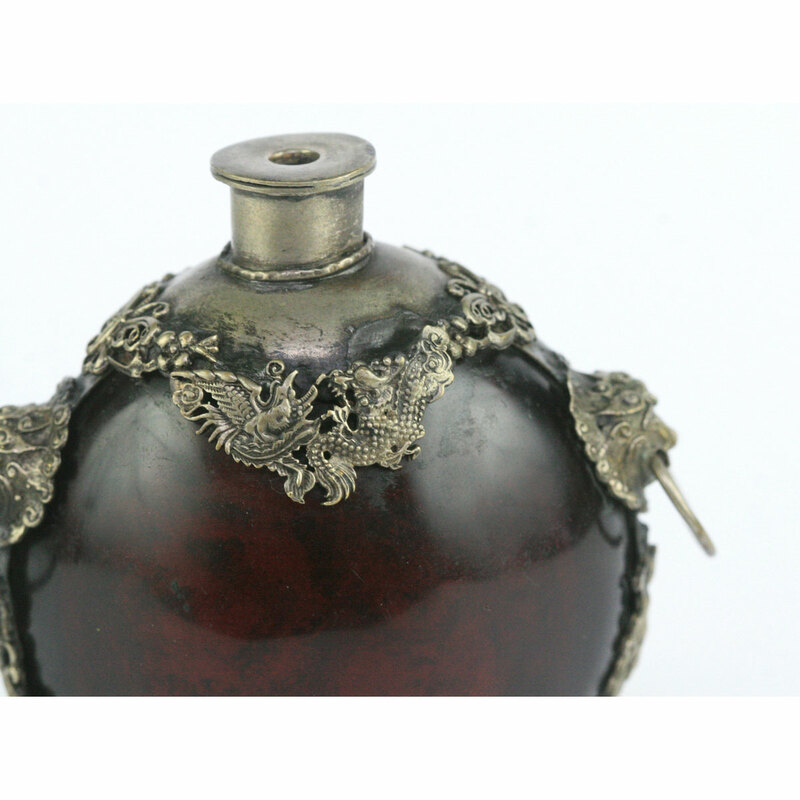 The upper surface with silver dragon and phoenix, and lion mask handles in silver. 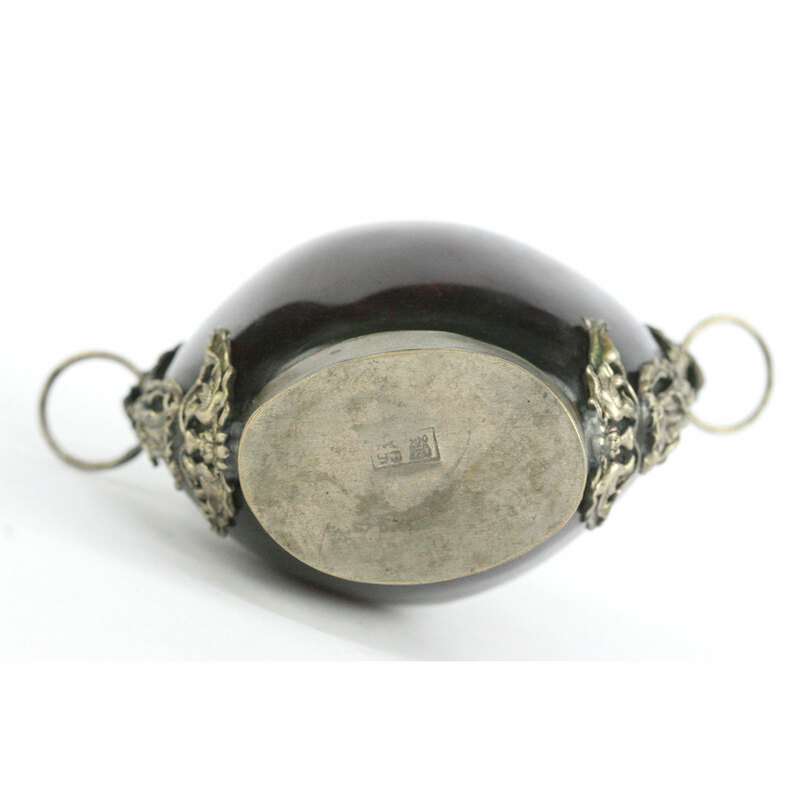 Top absent, in good condition.